Helen has a deep understanding of best practice and experience in managing change and communications drawn from senior positions across a variety of sectors. 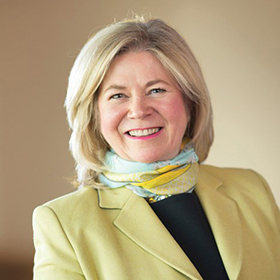 She was Chair of Governors for Headington School Oxford from 2008–2016. Helen worked at Rothschild for 15 years, as Head of Leadership & Organisation Development and, latterly, Head of Strategic Marketing. Her earlier career was as a consultant and executive coach specialising in change management and communications. Helen has a degree from the University of Surrey, is a qualified Meyler Campbell business coach and an accredited MBTI and FIRO-B practitioner.